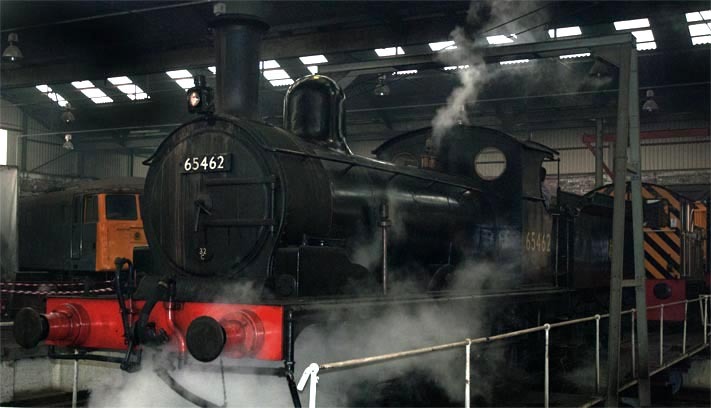 J15 65462 inside the Barrow Hill round house on the turntable in 2007. 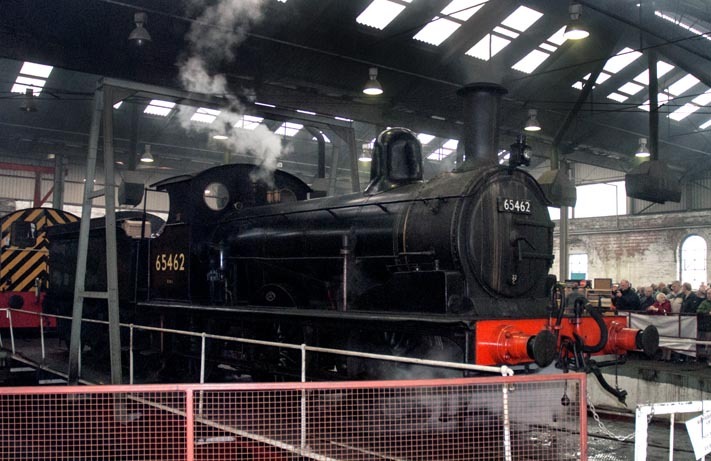 J15 65462 on the turntable in the Barrow Hill round house in 2007. This LNER class J15 was in its BR unlined black with its British Railways number. This J15 was built by the Great Eastern Railway to a design by TW Wordsell as GER class Y14 with the number 564. This steam locomotive is normaly at North Norfolk Railway. In 2015, it has now been outshopped in GER lined blue and sporting its original number of 564. Many of the later parts have been changed to put it back to how it was it was when classified Y14.